Come on jaw, work with me! 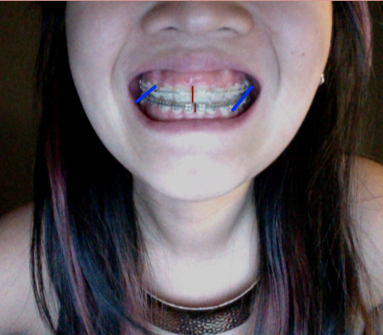 The blue lines are the bands I'm currently wearing to try to fix it. So it's back to Cranberry bands for me...I think they're supposed to tease my jaws into place. Other than that, I think Orthoman has put on some locking bands along my top and bottom teeth to keep the rest of my teeth in place.